Welcome to your home sweet home! 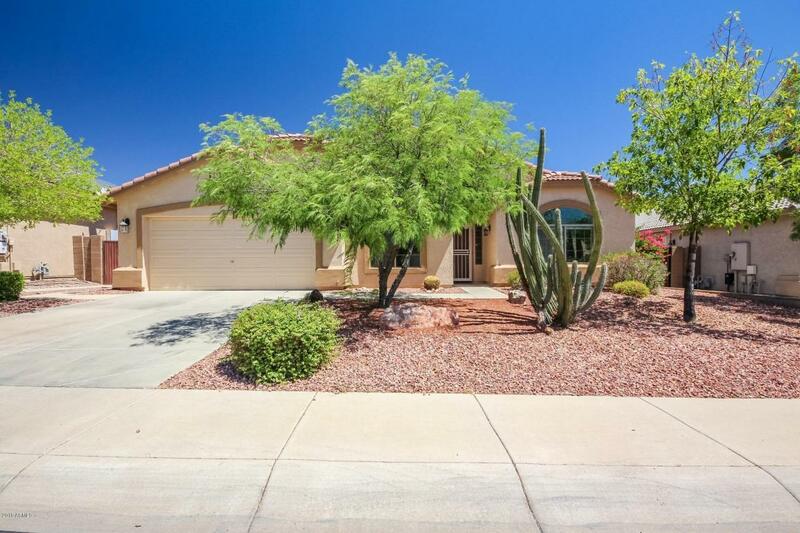 This house sits beautifully in desert landscape and welcomes you into this bright, friendly home. Through the door you will find soaring ceilings throughout. The great room offers vast space and connects to the large kitchen and family room. With a breakfast bar, ample counter space, and all white appliances. The large family room gives access to the patio and hallway. The spare rooms accompany a full bathroom in the hall and lead to the luxurious master bedroom. Included in this spacious room is a full spa bathroom, double sink, and closet. Outside is a large sparkling pool and vibrant, green landscape. Come see your dream home today!